We no longer have surround sound because I chewed the cord. Posted March 22nd, 2014 . But Scout looks like a baby! 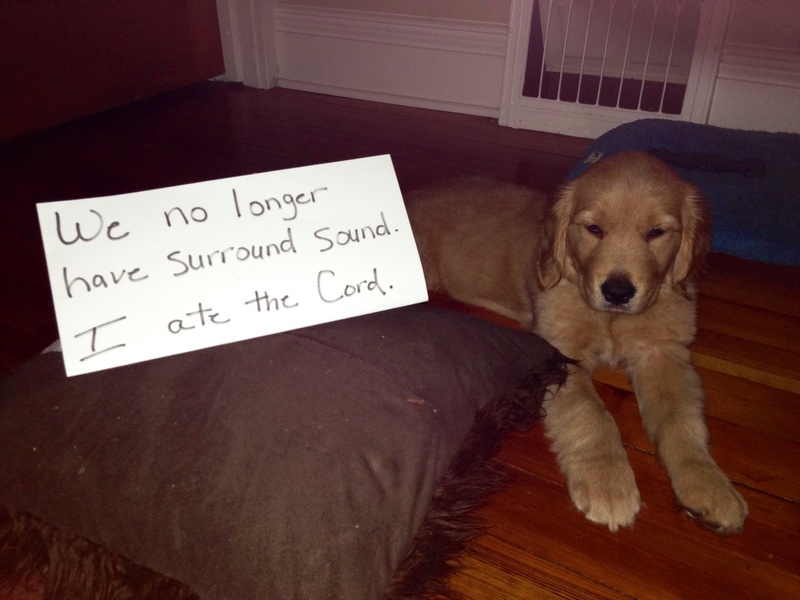 He can be forgiven, and will out grow chewing cords. 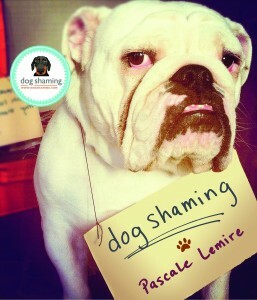 So darned cute, if not one iota ashamed. Does look guilty but still is only a baby and the house might need more puppy proofing! Love the photo! I LOVE those puppy legs and sweet paws he hasn’t grown into yet. Too cute. Yes, look at those huge mitts! He’s going to be a big boy. That surround sound is to loud anyway! Come to my house and eat my cord, you beautiful sweetie!